Sri Lanka too, like most other countries, is heading towards a difficult period where food is concerned. A major topic among all of us today is the food crisis. 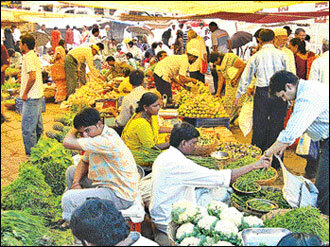 The prices of vegetables, fruits and other essential food items have soared mainly due to the floods that affected the country recently. Many farmlands were inundated by water, totally destroying crops and paddy cultivations. There is a shortage of food in the market so, are we really heading towards a food crisis? Many think so, especially because there seems to be a crisis in other parts of the world.Climate change has impacted agriculture, the world over. Cutting down trees, is one of the main reasons for such changes. Many do not think of the results of their actions. The climate is changing rapidly. We do not know when it will rain or when there will be a drought again. Will the climate ever come back to normal again? In the past, the farmers knew about the seasonal changes in the weather. They could tell exactly when the rainy season and dry season was. They used to cultivate crops, in accordance with these weather conditions and not much harm was done to their cultivations. However, today when all their cultivated crops are destroyed by severe rains or droughts, the farmers find it difficult to get a good harvest. They are unable to cultivate during the rainy season as they did in the past, due to flash floods today. So, when farmers cannot cultivate, who will provide us with the food items needed for our consumption? Naturally, there will be a shortage of food. I think the major reason we are heading towards a severe shortage of food is the inability to cultivate due to the unpredictable weather experienced these days. A drought is like a cancer to humans and animals. It is described as a period of abnormal dryness in a region. It usually occurs when there is no rain over a long period of time. A drought can also occur due to the conditions in the soil, especially when it cannot retain rain water for a considerable period of time.Even to Mother Nature, a drought is a big problem. For instance, the plants and trees all wither and become an ugly sight because they have no leaves or pretty flowers. They have all dried up and fallen off. During such times, the rays of the burning sun falls directly on the ground as there is no shade. The heat is unbearable and we cannot even keep our feet on the ground. It becomes difficult to walk barefoot. A drought causes many problems to all living creatures. People have no water to drink, cook or cultivate. It leads to crop failure and shortages of food. How can people get food and water without rain? 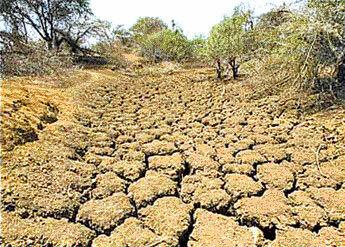 In some areas the soil has dried up completely and farmers cannot cultivate their paddy fields. In ancient times, the kings of Sri Lanka such as King Dathusena, King Mahasen, King Walagamba, King Agbo I and King Parakramabahu, built tanks and canals to store water to use during such droughts. Some of them are damaged. So, if we reconstruct the canals and even build new ones we will not face such problems. One of the main reasons for natural disasters is the destruction of nature. The more we respect nature and the more we protect it, the more we will avoid obstacles such as severe droughts in the future. I request all of you to protect Mother Nature because our country is a treasure given to us by God. Now it is a free country and we can do wonders to develop our motherland. We cannot destroy nature and hamper development. If you are against nature, the punishment for it will be given to you by Mother Nature itself. The consequences will be very gloomy. Grade 7, Negombo South International School, Nittambuwa. Today Sri Lanka is faced with the danger of losing one of nature's precious gifts - the wild elephants. There is a huge decrease in the number of elephants living in the wild, and human beings are mostly responsible for this. Among those responsible for destroying elephants are the people who kill elephants for their tusks. This is a sad situation where life has to be destroyed for money. Apart from them, those who purchase items made out of ivory or elephant hair are also responsible for the diminishing number of elephants. If there is no market for ivory or elephant hair products, these majestic animals will not be killed. Elephants are also killed by many who do chena cultivation and large scale farming such as sugar cane and paddy cultivation. Many such farmers in Udawalawa, Moneragala and Galoya regions are directly responsible for the dwindling elephant population in the country. 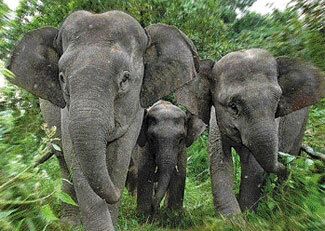 Today many villagers have settled in areas which are elephant habitats or are situated near such habitats. So, there is a elephant-human conflict. Immediate steps must be taken to protect such habitats if we are to prevent elephants from disappearing. The existing laws must be strengthened and implemented strictly. Forest Rangers must be employed to take action against hunters. It is also necessary to set up more orphanages such as Pinnawala and Udawalawa Transit Home to look after the injured elephants and also those who have strayed from their herds. The media should play an important role in raising public awareness about the urgent need of protecting our wild elephants. Elephants are the largest mammals on land and a gift of nature. It is our duty to protect them and let them live freely in their natural habitats. If we encroach their habitats, we must provide them with alternative habitats to live in. A hobby makes living interesting. It is a pursuit outside one's regular work. Since a hobby gives a person joy and pleasure, one does not get tired of it. It is a great form of relaxation during leisure. When indulging in a hobby a person learns something, while making the best use of one's free time. There are many hobbies such as drawing, painting, gardening, stamp collecting, photography, reading, sewing, crafts, embroidery, knitting, cooking, pet care and coin collecting. 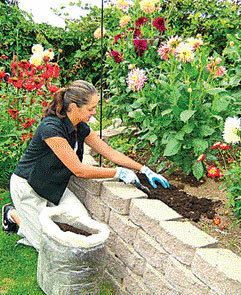 My favourite hobbies are gardening, stamp collecting, reading and coin collecting.Gardening gives me immense pleasure. When I see the seeds sown by me growing into beautiful plants with blooming flowers, it gives me a great sense of fulfilment. I enjoy tending to my plants and watering them everyday. It gives me satisfaction and also helps me keep healthy by being active. I grow flowers and vegetables in my garden. The greenery of plants and the sweet fragrance of flowers are like tonic for my mind. In a world full of tension and pollution, it is a great relief to see beautiful flowers and lovely plants. Another hobby which I pursue is stamp and coin collecting. I have collected hundred of stamps. I have arranged them in six albums according to continents. Each stamp has a story to tell me about the distant lands, strange people and the history of nations.It is a pleasure to exchange stamps. I have made many friends here and abroad by exchanging stamps.Even though these hobbies are somewhat expensive, I love them. My hobbies have tremendously helped me to become a great lover of the environment. Trees are an integral part of the environment and have been considered man's friends for a long time. Trees are useful not only for human beings, but also for birds and animals. In the days of our ancestors, they used the fruits of trees as food, the leaves for clothing and the wood for housing. We cannot live without trees even today because the oxygen we breathe is given to us by them.Trees provide shelter from the sun, wind and rain.Trees also beautify the environment and prevent soil erosion. They also give us firewood and wood to make furniture. Certain roots, herbs and leaves of trees are used to prepare medicines. Trees play a vital role in the water cycle. If there are no trees, there will be no rain. That's how certain areas have become deserts today. Felling of trees is a major problem in Sri Lanka. Some people destroy trees due to monetary reasons. If we cut down trees in this manner, our motherland too will become a desert one day. When we cut down trees, underground water resources run dry. man and animals. Therefore, we should protect and preserve them for ever. We must protect trees by planting a tree for every one we cutdown. 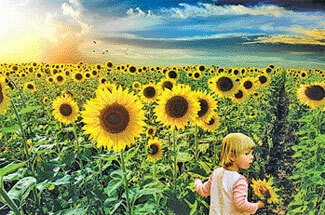 If we hope to make a better world, we should encourage our future generation to plant trees. Let's save trees that save us. Can you imagine a world without trees? One day I visited the Galle Face Green with my parents. I took my bat and ball with me. We saw some fishing boats sailing in the distant sea. I met some of my friends at the Green and we played cricket. After that we had some snacks and ice-creams. Later we went to the bridge and also visited the lighthouse. Then one of my friends showed me some ships in the middle of the sea. When we came back, my friends and I built some castles on the beach and we frolicked in the water. When it was time to leave, I bade goodbye to my friends and came home. It was a very enjoyable day on the beach. Grade - 5, Alexandra College, Colombo 10.